Leading the Australian Baseball League (ABL) in batting average (.383) and OPS (1.140) as well as being second in OBP (.474) and SLG (.667), 26-year-old American import Kody Hightower has made MLB scouts scratch their heads and ponder how their organizations could have been granted a new lease on life if he had not been left for dead on draft day years ago and had been added as their teams’ spark plug and late-budding baseball star. Putting everything on the line with a solid spiritual foundation and faith to beat the odds in pursuit of competing with the game’s elite, Hightower is currently walking an Aussie tightrope by simultaneously playing shortstop for the Australian Capital Territory Baseball Association’s Ainslie Gungahlin Bears and the ABL’s Canberra Cavalry. The high stakes North Carolina native and versatile ball player came to Australia after leading the Swiss Baseball League Zurich Barracudas into the playoffs. 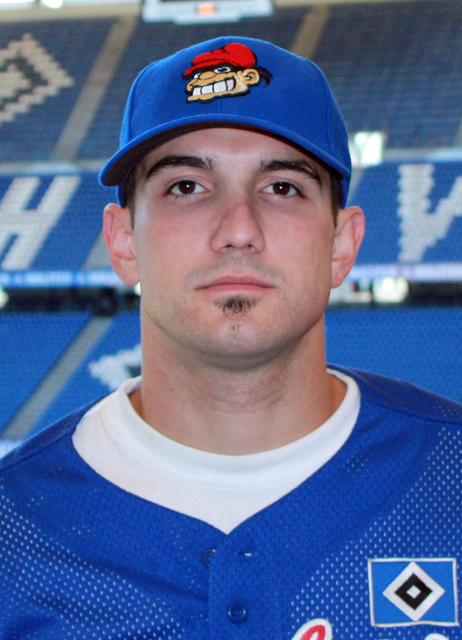 When America turned her back on Kody Hightower, he launched a strong European baseball campaign as a pitcher and shortstop for the German HSV Stealers and the Swiss Zurich Barracudas with massive success and international fanfare to go along with it. Known for his outstanding arm, Hightower traveled to countless U.S. tryouts and showcases to be seen by the movers and shakers in professional baseball. Kody elaborates, “At one tryout in Atlanta, I was videotaped pitching and a manager in Germany saw it on youtube. He got in touch with me, and I signed almost immediately. I figured if I couldn’t play in the states, I might as well see the world and continue playing. I really enjoyed my time in both Germany and Switzerland. I used it as a stepping stone to continue trying to get my name out there.” The Lenoir, North Carolina hometown hero expanded his European fan base by playing for the HSV Stealers and the Zurich Barracudas. Hightower recently led the Barrcacudas to the post-season in late August with a near perfect outing on the hill as the Zurich hurler clinched a playoff spot when he pitched a nine inning 7-0 shutout over crosstown rival Challengers while striking out 16. Hightower helped himself to earn the win offensively by going 4-for-4 with a home run, two doubles and four RBI. It was business as usual for Kody as he relished European pitching throughout the entire season. Before heading to Australia, he was named as the recipient of the 2011 Barracudas’ Best Hitter Award. 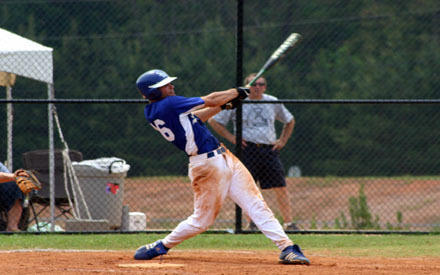 Kody Hightower's swing led Southern Wesleyan University to a 2007 NCCAA National Championship. After being selected as a NAIA All-America Honorable Mention at Brevard College, Hightower was named to the 2008 Southern States Athletic All-Conference team, NAIA Region XIII team, NCCAA All-South team as well as an All-American and NCCAA South Region Player of the Year in his final two seasons at South Carolina’s Southern Wesleyan University. He compiled a .427 batting average with six home runs, seven triples, 16 doubles, 61 runs scored and 64 RBI in 58 games during 2008. Having only struck out only five times in 234 at bats and been caught stealing once in 24 stolen base attempts in his final year of college ball, Hightower demonstrated great presence of mind and Big League potential at the plate and on the base paths. Considered a natural 2008 MLB Amateur draft selection by coaches and fans alike, Kody got no love from American professional baseball. 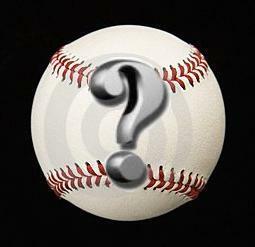 He was left out in the cold without a contract or any leads to continue his hot hitting ways in MLB. 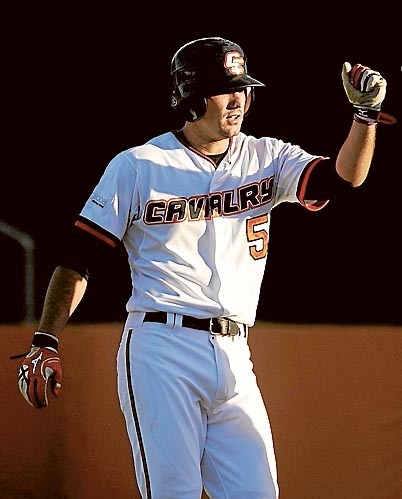 Kody Hightower leads the ABL in batting and the Canberra Cavalry charge to victory. The eternal optimist Hightower reflects, “Out of college I had a couple looks from the Pirates and the Reds, but no calls came on draft day. I was disappointed, but you just have to bite your tongue and keep moving forward. It’s not the end of the world. There are still other options. It’s great playing for the Cavalry, and I really enjoy the guys on the team as well as the management. 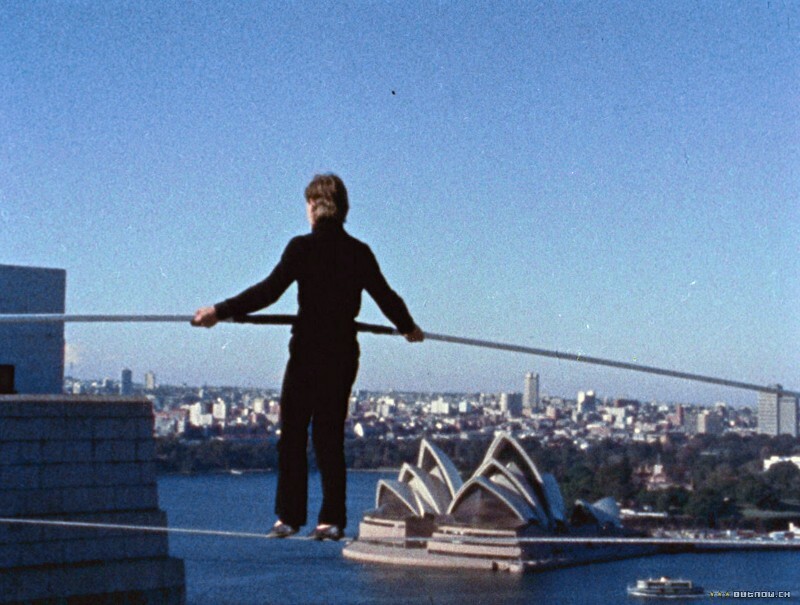 My rituals aren’t too ‘out there’–even though I went through a phase of eating veggie mite before games (laughter). It’s an Aussie spread they put on toast–not very tasty–but I believed it to be helping me in the batter’s box. After I went 0-9 in a series, I stopped with that because you have to start fresh and try something new if it doesn’t work for you.” Despite his love for the ABL and the Cavalry, Hightower is contracted to play for the Ainslie Gungahlin Bears and could miss out on Canberra’s final push for the playoffs. Previous Article #48 is for Sandoval, Hunter, Hirsh & MLBblogger!!!! What an inspirational story of a player’s persistence to follow his passion regardless of the outcome. Who thinks Kody Hightower deserves MVP status? Stories like this will spread the word and MLB scouts will be forced to take another look at Kody. Keep on playing Kody, we’re rooting for you. I have watched Kody play ever since he was a boy. I can say without a doubt he is one of the hardest working and and most talented baseball players in the world. I think if he could have been given another middle name it would be “DEDICATION”. Good luck Kody “the Kannon” Hightower. And may God be with you. 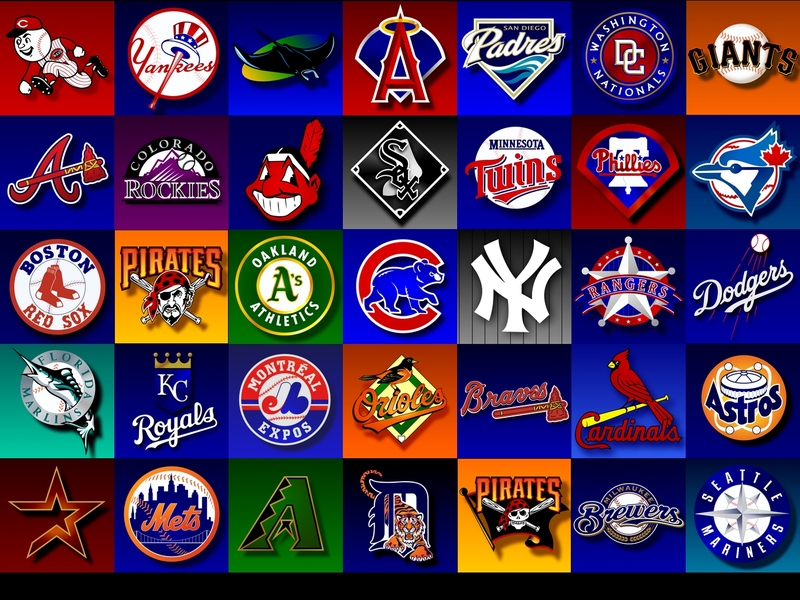 Wish we could see Australian Baseball here in the USA, even if I had to tape it with the time change. Fine young man and player too–my kind of guy. Good luck Kody! I had the privilege and honor to play with this spectacular athlete and hands down, he is the best I have stepped foot on the fields with. His motivation, dedication, and desire for game is unlike no other! The work ethics is top notch and he can compete with any of the “Bigs” out there. I have rooted for him since day one and still cheer him on to this day. If you can not see true potential when it is staring you in the face, scouts, you are not doing your job! Best of luck to you Kody…Keep killing it!